This is a mono act based on the life of a real hero Capt. Vikram Batra who got Param Vir chakra award for his bravery in Kargil war in 1999.He believed, he was born to serve the motherland by joining Indian Army. He got the opportunity to join merchant navy and go to Hongkong, but at the last moment he rejected the offer and started preparing to become the army officer.He was brave, sportive, handsome and ever smiling and most of all he was patriotic.At the age of 24, he went to fight the war in Kargil for his motherland. He was famous as”Shershah” among army men and among enemy soldiers.After capturing point 5140 he said ‘YE DIL MAANGE MORE”. Finally, people came to know that he was not only a veer, he had become Param Vir. 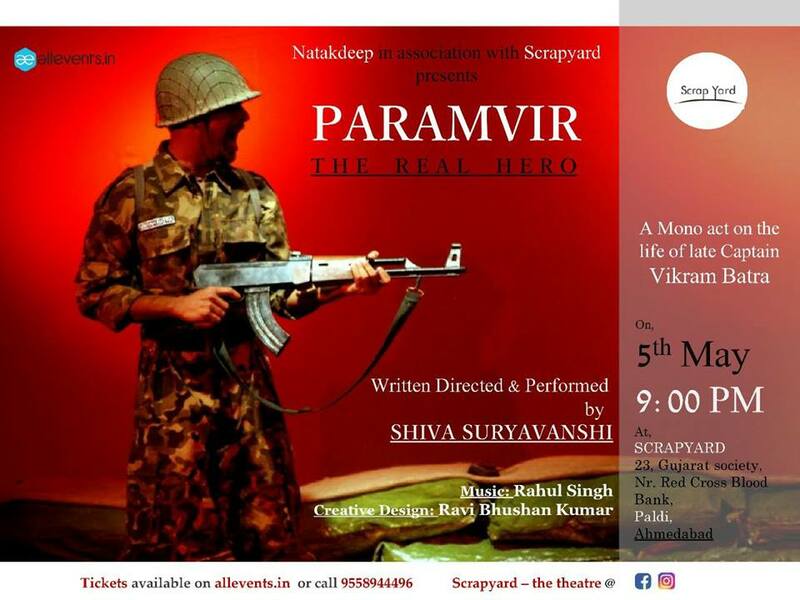 This play is to remind the glory of our real heroes who sacrificed their lives for mother India.This is a huge hit among the audience. The first show of this play was performed in the presence of Capt. Vikram Batra’s parents on his 11th martyrdom day 7th july 2010 at BHARTIYA VIDYA BHAWAN, Chowpatty, MUMBAI.It has been performed and appreciated at many places like-Mumbai, Pune, Chennai, Coimbatore, Goa etc.